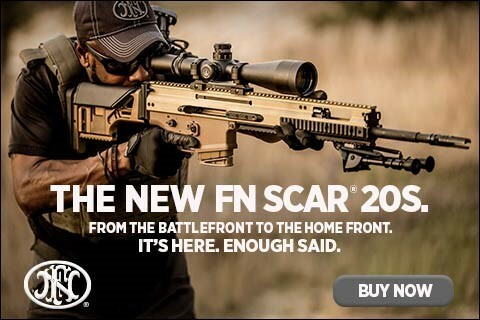 Take aim with the all-new FN SCAR® 20S, the latest in battle-proven technology based on the legendary DNA of the 7.62-calibered MK 17 and MK 20 SSR. Perfectly calibrated for long-range precision fire, the SCAR 20S gives you the ability to engage targets nearing 800 yards with ease. The gas-operated piston design absorbs recoil efficiently to improve follow-up shots and maintain target acquisition. Lending further aid is the match-grade, two-stage trigger that breaks crisply at 3.5-4.5 pounds, full-length MIL-STD 1913 rail at 12 o'clock position, and fixed buttstock providing adaptability to fit to each user's needs through adjustable length of pull and cheek rest height.